The Cardinals have acquired perennial MVP candidate Paul Goldschmidt in a trade with the Diamondbacks, prompting bookmakers to shorten St. Louis' odds to win the 2019 World Series. As the Chicago Cubs sit back and say their resources are limited this offseason, the top of the 2019 World Series oddsboard is getting crowded as other National League contenders improve. The St. Louis Cardinals are the latest to make a huge addition, acquiring perennial MVP candidate Paul Goldschmidt in a trade with the Arizona Diamondbacks, prompting the Westgate SuperBook in Las Vegas to move the Cards' [World Series odds from 14/1](https://www.betchicago.com/white-sox-world-series-odds-2019-free-agency) to 12/1. 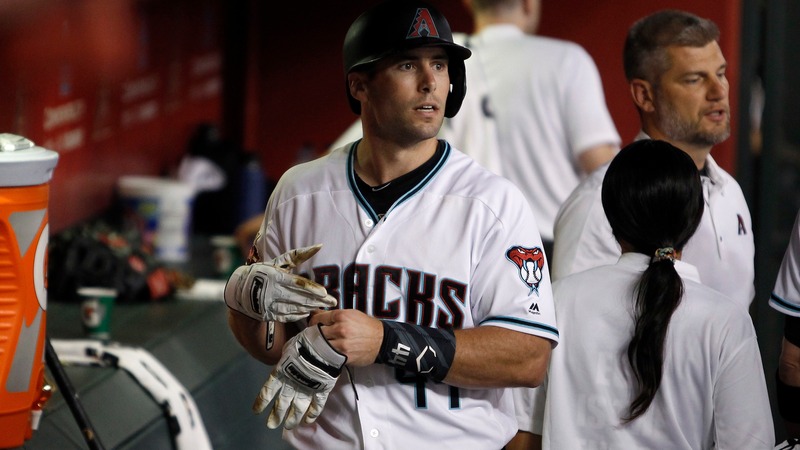 The Cardinals [sent nothing but depth](http://www.espn.com/mlb/story/_/id/25461805/arizona-diamondbacks-trade-paul-goldschmidt-st-louis-cardinals) in the trade for Goldschmidt. Luke Weaver filled in the back of the rotation for St. Louis, and catcher Carson Kelly was blocked by Yadier Molina. They were the two headliners going back to Arizona, as the D-backs prepare to lose not only Goldschmidt, but also free agents Patrick Corbin and A.J. Pollock and possibly trade candidate Zack Greinke and more. The Cardinals are now tied with the Braves for the third-best odds among National League teams to win the World Series at 12/1. Both teams trail the Cubs, who stay at 10/1 to win the World Series, and the Los Angeles Dodgers at 7/1. "We didn’t feel any move on the Cubs was necessary at this time," Westgate manager Randy Blum told BetChicago in an email. "We have taken twice as much money on the Cubs as any other team for the World Series so far. The Cubs are still capable of making some moves as well." Meanwhile, the Diamondbacks have been lengthened from 80/1 in late November, to 300/1 before the trade, all the way to 500/1, the same odds as the Mariners, Royals and Tigers. It's a steep decline for a team that led the NL West for most of 2018 and made the playoffs in 2017. Seattle, after trading Edwin Diaz and Robinson Cano, were lengthened from 100/1. __More MLB:__ [Cubs need these players to step up](https://www.betchicago.com/cubs-players-who-must-improve-ian-happ-2019) The Nationals, who [reportedly](https://www.sbnation.com/2018/12/5/18126232/washington-nationals-patrick-corbin-contract-free-agent) agreed to a deal with starting pitcher Corbin, are 14/1 to win the World Series. So are the Phillies, who are expected to spend plenty of money to add star power this offseason. The Mets have stayed put, so far, at 30/1. New GM Brodie Van Wagenen said acquiring Diaz and Cano won't be the only moves the team makes. The team is now considering Marlins catcher J.T. Realmuto, who could be significant enough to move the number. The Braves are 12/1 after signing Josh Donaldson. The Milwaukee Brewers, the team that won the NL Central last season, has been adjusted from 14/1 to 16/1 to win the World Series.